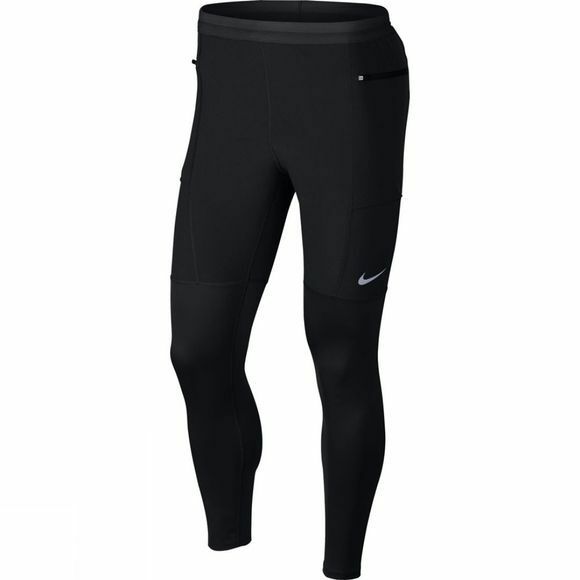 Men's Nike Running Pants combine the relaxed feel of casual warm-up pants with the body-hugging fit of performance running tights for comfort on and off the track. Multiple pockets provide secure storage. Tapered fit delivers comfortable coverage. 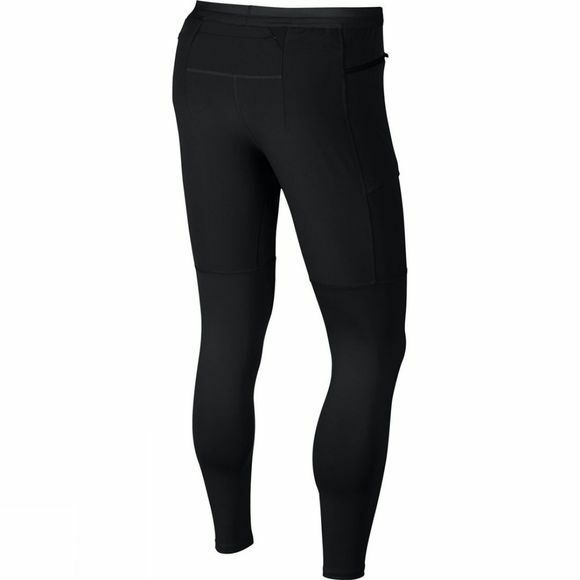 Flat elastic waistband with an internal drawcord customizes the fit. Drawcord has a repeat Nike Running trademark print. Zippered pocket on the right-back hip has a vapor barrier to help guard items from sweat. Upper has a regular fit for comfort and mobility. Lower has a body-hugging fit to minimize distractions. Zippered pocket on the left thigh is designed to hold a phone.